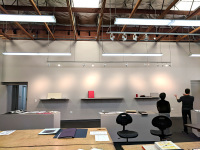 By Invitation Section: In this section, works of guest calligraphers who are invited by our Chief Curator will be displayed physically at the gallery of SFCB. 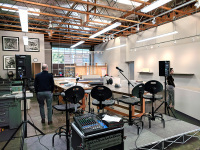 Open Call Section: In this section, a series of works will be selected out of an open call and the image of selected works will be displayed digitally at the Opening Reception Ceremony via projector or screen at the gallery of SFCB and then on our website. If your work is selected in this section, you do not need to post your original work to us and we will display the image of your work. Calligraphers and artists anywhere in the world in any levels with any style, script, and language (including but not limited to English, Hebrew, Chinese, Japanese, Tibetan, Arabic, Persian, Turkish, Hindi, Baybayin, etc.) may submit up to 4 pieces to be considered for the exhibition. We accept classic and traditional calligraphy as well as contemporary ways of using letters in any medium such as painting, drawing, sculpture, ceramics, glass, textile art, typography, digital art, and mixed media. 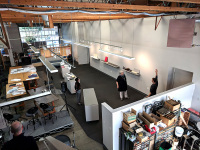 Curators of the exhibition will review the submitted forms and images and will announce the accepted works and artists of the Open Call Section by May 1, 2019 by email and through www.calligraphies.org. 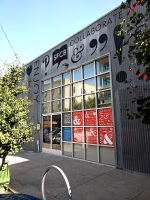 If your work is selected in Open Call Section, you do not need to post your original work to us and we will display the image of your work digitally at the Opening Reception Ceremony via projector or screen at the gallery of SFCB and then on our website. You can take 3 easy steps on this page to submit your works. Make sure to do it before submission deadline on April 27, 2019 before 11:59 p.m. Pacific Standard Time. 1- PAY SUBMISSION FEE: Submission fee is $10 and is payable by pressing the "Buy Now" button below. We want to support any artist anywhere in the world, so you can participate for FREE with no fee if you are in a country which you cannot make the payment due to international reasons or you extremely lack the fund. Failure to make the payment of submission fee for any other reason will unfortunately cancel your participation. 2- UPLOAD IMAGES: Upload the image of up to 4 of the artworks you want to participate. When clicking on "Buy Now" you will be directed to the secure payment page. You may choose to pay with PayPal or pay with any credit card by clicking on "Pay with Debit or Credit Card" on the bottom of the page. On the payment page and on your statement, the name of our payment institution, PEAL will be apeared. Artists are encouraged to have their work for sale. Price is determined by the artist. We will retain 40% commission on all sales. Artists are responsible for the packaging, shipment, and insurance of their artwork to the buyers. So, please estimate all the costs associated and then determine the price of your artwork. The price cannot be changed after submitting the Submission Form. Artists who are participating from countries with limited or sanctioned relations with USA may not have their artwork for sale. We will actively promote the submitted and selected artworks in the course of the exhibition and beyond through various methods including but not limited to representing the image of the artworks and the artists through email lists, social media, multiple websites, apps, and books to make sure several thousands of audiences will view the works and get to know the calligraphers and artists globally. 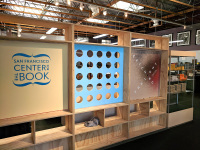 The official exhibition catalog produced in partnership with SFCB will only include the artworks of By Invitation Section. Calligraphies in Conversation might produce a separate simple catalog to include the works of Open Call Section in the future. All Artists will receive an official digital Certificate of Participation via email. Submitting artwork to this exhibition acknowledges agreement set forth in this Open Call for Entries. The organizations leading the exhibition may rescind the right of displaying any art misrepresented or unsuitably presented and may change the conditions if necessary.